Vending machines There are 9 products. We are able to supply different machines for all environments where a high quality beverage needs to be served quickly and efficiently. These machines offer a full range of bean to cup (B2C), instant or fresh brew drinks as well as an extensive selection of instant products. Whatever your need is, we have a huge range of machines you can choose from, brand new or second-hand. 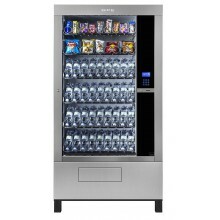 Here you can find a variety of vending machines fully spiral operated enabling both snacks and soft drinks packed in bottles of 0.5 l or cans of 0.33 l to be vended through the same machine. Make your own selection, brand new machine or second-hand. Here you can find a variety of cold drinks vending machines, packed in bottles of 0.5 l or cans of 0.33. 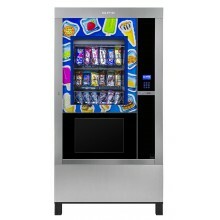 They can be glass front vending machines or closed front vending machines. Advantages of glass fronted cold drinks machines compared with closed fronted machines include a wider selection of products and the potential of significantly increased product sales. Research has shown that viewing products directly through the glass helps to increase impulse purchases by approximately 60%. 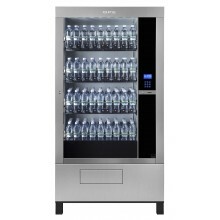 The glass fronted drinks machines offer a greater number of product selections and increased versatility, it is easy to use and delivers chilled cans and bottles at the touch of a finger. On the other side, the closed fronted vending machines offer a biger capacity despite a smaller number of selections. 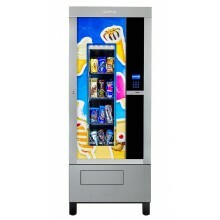 Make your own selection, buy a brand new vending machine or a second-hand machine. Saeco Quartzo 500, second-hand, B2C version, not tested, not cleaned and unrevised. No VAT included. 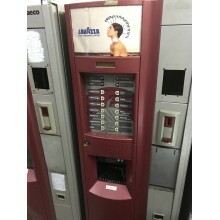 WE RECOMMEND THESE MACHINES ONLY TO VENDING COMPANIES AND NOT TO BEGINNERS. THEY NEED SPARE PARTS OTHERWISE DISMANTLING. Saeco Quartzo 700, second-hand, B2C version, as they are, not tested, not cleaned and not revised. No VAT included. 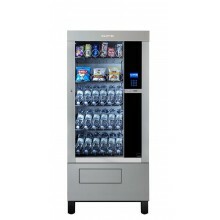 WE RECOMMEND THESE MACHINES ONLY TO VENDING COMPANIES AND NOT TO BEGINNERS. THEY NEED SPARE PARTS OTHERWISE DISMANTLING. 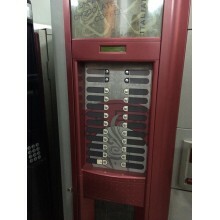 Bianchi Lei 400 vending machines, second-hand, B2C version, good condition, not tested and not revised. No VAT included. 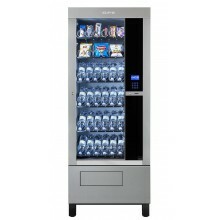 GPE VENDORS DRX Frozen Maxi Store, ice cream & frozen products vending machines, 3 trays in standard configuration, internal temperature -20C, brand new. No VAT included.